Crafting your Rule of Life is not meant to be a rigid experience, void of creativity or your unique personality. Not at all! In fact, the creation of your RoL is a great reminder that God has formed and fashioned only one you! 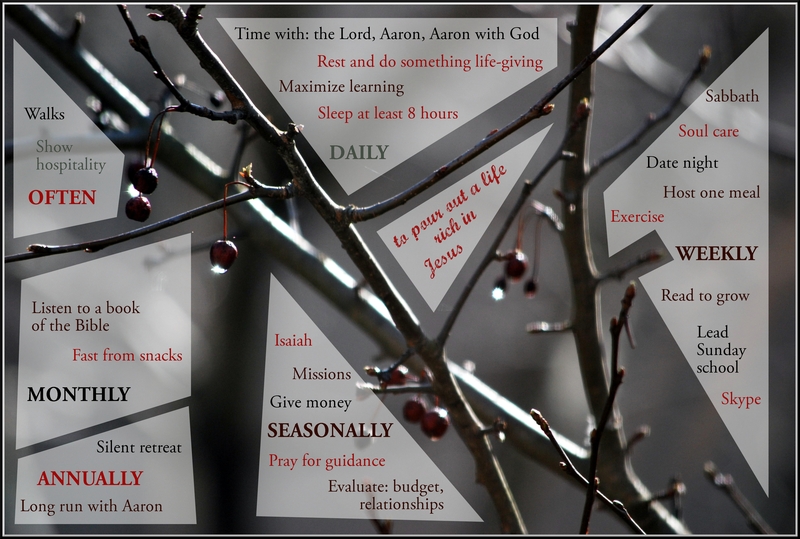 Check out Valerie’s rule and notice how creative and imaginative she has been in expressing her life in God. Blessings to you as you continue on the well-ordered way and live into the unforced rhythms of grace! In fasting and self-denial, we are able to begin to see what is fueling or controlling us. What might God be inviting you to fast from? Leadership Transformations releases a free, monthly resource titled Silencio…targeting a specific spiritual practice and discipline. In the month of April, Silencio’s issue focuses on the practice of fasting. 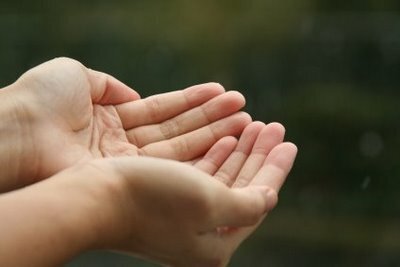 As you examine your Rule of Life and whether or not you are walking and living in a well-ordered way, we invite you to consider the practice of fasting. Is it a regular rhythm in your life with God? Fasting provides opportunities for us to back away from excess (perhaps frivolous delights), allowing God to form healthier pathways in our unforced rhythms of grace. In doing so, we intentionally step back from culture and into the presence of God with a posture of open hands. In releasing self-directed desires, we are rid of distractions and actions that dominate our lives. As we engage in fasting and self-denial, we are able to begin to see what is fueling or controlling us. What might God be inviting you to fast from? To assist you in this journey, we’re providing April’s issue of Silencio here. When we speak of Crafting a Rule of Life and walking in a well-ordered way, we believe first and foremost that we must develop rhythms of Scripture, Prayer and Reflection in our personal prayer closets. These foster a spaciousness which allows us to attentively listen to the Triune God who is at work in us. So, friends, are you practicing these means of grace on a regular basis? May it be so! 1. We cease from what we normally do throughout the week. 2. We rest with the delight of the work we’ve accomplished. 3. We celebrate the life we enjoy in Christ. 4. We embrace the call of God on our lives to continually contribute to building up the Kingdom of God in all areas of life and service. Take a few minutes today in prayerful reflection to consider how these rhythms are present in your life. If they are underdeveloped or inconsistent, how might God be inviting you to more fervently pursue these things? Blessings to you on the journey! **Want to read more, follow Steve’s blog by clicking here!